If you want your SEO strategies to work you should avoid translating keywords. Every language needs to be treated separately and specific keyword research needs to be carried out for every one of them. Some of the common mistakes multinational companies make when deploying their search marketing strategies are translating keywords. If you want your SEO strategies to work you should avoid translating keywords. Every language needs to be treated separately and specific keyword research needs to be carried out for every one of them. This point was made very clear at the International Search Summit when speakers like Andy Atkins-Krüger and Bill Hunt quite rightly pointed it out. 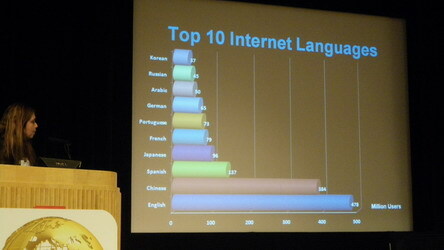 Don’t use IP address country detection methods to redirect users to specific language versions of your site. You website could mistakenly take a search engine crawler for a real user and redirect it to the English US version of your website. The other versions of your site would then never get crawled. ignore Yahoo if you plan to penetrate in Japan. It is the predominant search engine with a 53% market share, however, don’t completely ignore Google either as it takes up the remainder 47% market share. neglect doing the right research into Dutch culture and society if you plan to bring your product in the Netherlands. fall in the mistake to think that traditional Spanish can be applied to the Latin American context, particularly keywords. Every Latam country speaks a different Spanish. Eg: ‘renta autos’ in Mexico vs ‘alquiler autos’ en Argentina. ignore the great opportunities that Latam markets present at this moment: SEO is easier than in Europe and NorthAmerica, paid search has very low CPC in Latam (€0.20 per click or even less), yet there is a fairly good average conversion rate. embed your digital assets in text within your webpage copy for better ‘Universal Search’ results on the SERPs. Try MajesticSEO to gain an insight into your competitor’s link portfolio. These can be good sources to grab new links opportunities. Use the folders facility to keep up with the verticals, and use the Link Reclamation feature to get a list of the top pages in the domain. Produce two or three versions of the same press release if you plan to distribute it via different channels. Take into account that Japanese alphabet is made of four different alphabets and words are not separated by spaces as in the Western alphabets. consider ‘Machine translation’ (MT) as a solution with an element of human review if you are responsible for enterprise-level content production. I thoroughly enjoyed this seminar, the presentations and the excellent tips I got on International Search. If you would like to read more, you can start with my detailed recap on the SEOMoz blog or the recap written on the official Web certain blog: Multilingual Search.Some of the common mistakes multinational companies make when deploying their search marketing strategies are translating keywords. If you want your SEO strategies to work you should avoid translating keywords. Every language needs to be treated separately and specific keyword research needs to be carried out for every one of them. This point was made very clear at the International Search Summit when speakers like Andy Atkins-Krüger and Bill Hunt quite rightly pointed it out. 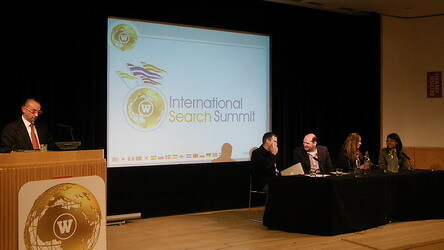 I thoroughly enjoyed this seminar, the presentations and the excellent tips I got on International Search. If you would like to read more, you can start with my detailed recap on the SEOMoz blog or the recap written on the official Web certain blog: Multilingual Search.